The Delhi Police took help of the software after the Delhi High Court asked it to test run the FRS which can help trace and rescue missing children. NEW DELHI: Nearly 3,000 missing children have been traced in four days, thanks to the facial recognition system (FRS) software that the Delhi Police is using on a trial basis to track down such children. The Ministry of Women and Child Development (MWCD), in an affidavit to the high court, said that the Delhi Police, on a trial basis, used the FRS on 45,000 children living in different children's homes. Of them, 2,930 children could be recognised between April 6 and April 10. Much recently, on April 5, the Delhi High Court expressed displeasure when it was informed by the Delhi Police's special commissioner (crime) that it has obtained its own FRS but it was unable to do trial run of the application as the WCD ministry has not provided the data. The court had also pulled up the Centre for not sharing the details of missing children with the police despite its orders and warned of initiating contempt action if due seriousness was not shown in the 20-year-old matter. 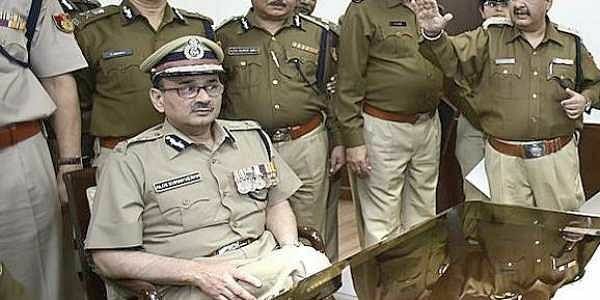 Hours later, a meeting between the ministry and Delhi Police officials took place. The ministry provided data on some seven lakh missing children along with their photographs on the child tracking portal, after which the Delhi Police began the test run of the software. Rakesh Srivastava, secretary to the Women and Child Development Ministry, said in the affidavit: "The Delhi Police shared the outcome of the FRS on April 10 with the WCD ministry. The police said that identities of 2,930 children were established. The ministry has sent the data to the National Informatics Centre (NIC) for further details. The court will be informed after completing further procedures. "Bhuwan Ribhu of Bachpan Bachao Andolan, which had given a proposal to give the software to the Delhi Police free of cost," said the NGO will request the court in the next hearing to constitute a national children's tribunal on the lines of the National Green Tribunal (NGT). The FRS software stores the facial features of any child and matches them with photographs and database available with the Track Child portal as a result of which the identity of the child is instantly established. The National Commission for Protection of Child Rights (NCPCR) has also advocated the use of such softwares which can help trace the missing children and reunite them with their families. "If such a type of software helps trace missing children and reunite them with their families, nothing can be better than this," NCPCR member Yashwant Jain said.